EHA » Green and low carbon hydrogen certificates on the market now! Green and low carbon hydrogen certificates on the market now! “Designing the 1st EU-wide Guarantee of Origin (GO) scheme for Green Hydrogen” The CertifHy project issued 75 000+ CertifHy Green and Low Carbon Hydrogen GOs on Janaury 15, 2019 that are available for Hydrogen consumers from industry and transport can use renewable energy in their processes and reduce the greenhouse gas footprint by purchasing CertifHy Green or Low Carbon Hydrogen Guarantee of Origins now. CertifHy GOs allow end-users to consume Green and Low Carbon Hydrogen across the EU, regardless of their location. The CertifHy Guarantee of Origin scheme is essential for labelling the origin of the product providing transparency to consumers and creating market pull for Green and Low-carbon hydrogen. The CertifHy pilot dispatched 75 000+ Green and Low Carbon Guarantees of Origin that are issued into the registry. The four hydrogen producers including the industrial gas companies Air Liquide and Air Products, specialty chemicals company Nouryon, the retailer Colruyt Group and the energy utility Uniper are participating in the pilot and issuing GOs.The objective of the CertifHy pilot is to test the design of the CertifHy scheme, its procedures and operation, the associated costs for the various users, the ICT system as well as other elements. The results will be fed-back and incorporated into the final design of the scheme, expected by March 2019. 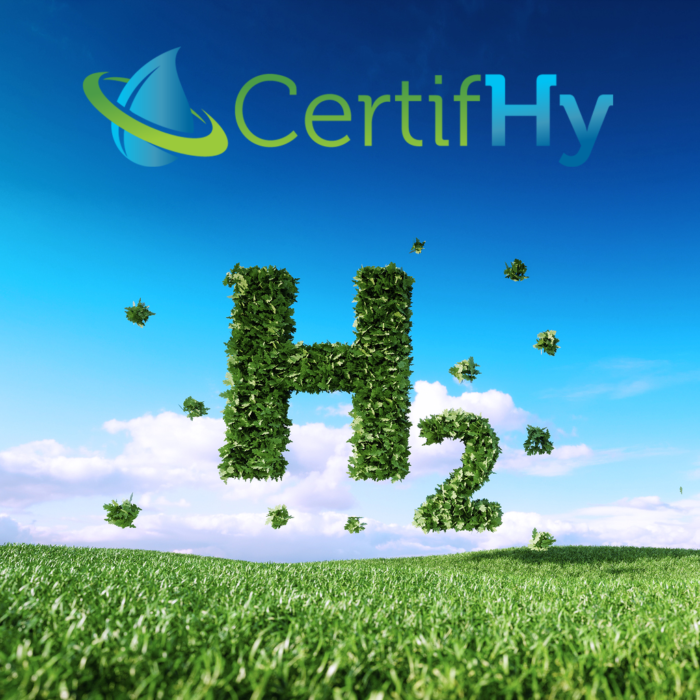 CertifHy invites existing hydrogen consumers to participate in the pilot and acquire CertifHy GOs. A CertifHy GO allows end-users to proof that the hydrogen originates from renewable and low carbon energy sources. It covers either hydrogen produced from renewable energy (bio, hydro, wind and solar) (defined as ‘Green Hydrogen’) or from non-renewable low carbon energy sources (defined as Non-Renewable Low Carbon Hydrogen). The CertifHy Guarantee of Origin is developed in step-by-step consultation with the CertifHy Stakeholder Platform and its topical Working Groups bringing together all European stakeholders interested in green and low carbon hydrogen GOs. It is a forum about green hydrogen GOs and the channel to shape the ongoing CertifHy project. Join the CertifHy Stakeholder Platform and contribute to shaping a new energy market.